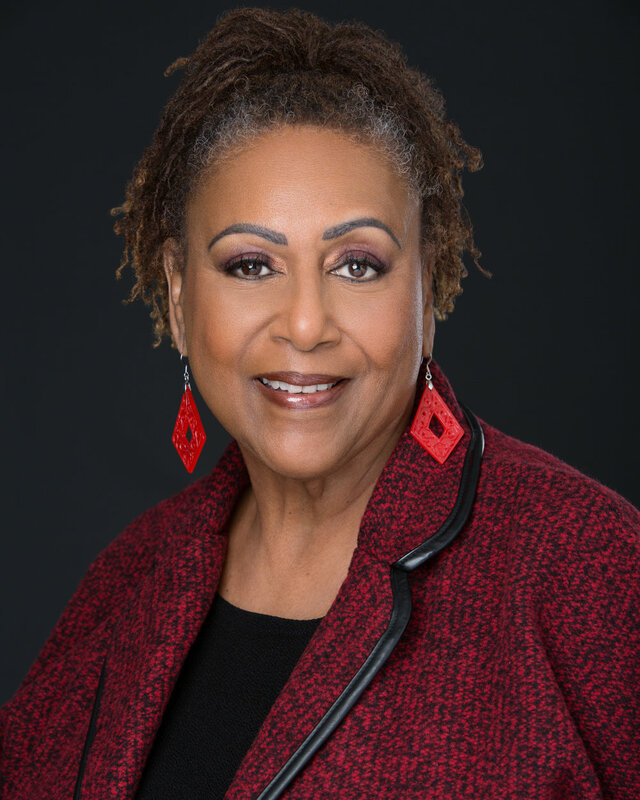 Bonita C. Dent retired the Station Manager for Taxi Productions, Inc. dba KJLH-FM radio station serving the Southern California area in July 2018. She oversaw the day to day operations of the radio station, including programming, sales, fiscal policies and promotions. Her goal was to ensure the delivery of the “Radiofree” brand which promotes total music expression, including local, national and worldwide news. She believed in a “hands on” approach when it pertains to the production of local promotional and community outreach events. Bonita ensures that KJLH Radio is committed to providing a voice and services for the community. Annual events produced by KJLH Radio include providing necessary health services to women, feeding the homeless and providing toys for needy children every Christmas. Dr. Forrest is the Director, Student Health Services at West Valley College. Dr. Forrest has been an Educational Administrator at West Valley College since July 2015. Dr. Forrest was a Professor at Rio Hondo College from 2005 until 2015. Dr. Forrest was a faculty member of the Charles R. Drew School of Medicine from 1984 until 2005. During Dr. Forrest’s tenure on the medical faculty, he served on numerous faculty committees and faculty task force committees. Dr. Forrest served as the Charles R. Drew OB/GYN Residency Program Coordinator from 1990 to 1995. Dr. Forrest was as an Instructor of OB/GYN from 1984 to 1989 and Assistant Professor of Obstetrics and Gynecology at the Charles R. Drew University of Medicine and Science from 1989 to 2005. It was in Fourth grade at Grape Street Elementary that Betty Black decided to become a teacher so that she could help kids. Her pursuit led her to become the first in her family of eleven to graduate high school. Within five years she completed a bachelor’s degree in Sociology from U.C.L.A. and a teaching credential from U.S.C. This journey of service was just the beginning. Fortunately, employment with L.A.U.S.D. began the week after graduation. Over the next thirty-seven years her titles would include Teacher’s Assistant, Teacher, and Counselor. She also served as U.T.L.A Chapter Chair, Lead Teacher and represented L.A.U.S.D. at the Annual N.E.A. Conferences held in various States across the Country. Betty retired in 2010 and has embraced her best endeavor being a Grandmother of three children. Betty has been a supporter and Board Member of Fred Jefferson since its inception. To see the achievements and expansion of this organization is fuel for my passion to serve the deserving youth and families of our community.Betty also serves as a deaconess and greeter at New Dawn Christian Village in Los Angeles. Kayretia grew up in Southern California a product of Los Angeles Unified School District. After graduating high school, she attended Los Angeles Business College. Her first job was with the Law Firm of Fried and Notrica moving on to Consumers Credit Bureau and she finally landed a position with Blue Cross of Southern California where she retired after thirty-one years of faithful service. While at Blue Cross she held several supervisory positions in the Medi-Cal Department where she was responsible for paying out-of-state medical claims for California recipients. She moved on to the Marketing division where she became Administrative Assistant to the top salesman in the department. Since her early youth she has been active in the Church Community rendering service in the Music and Administrative Departments. She has also traveled from coast to coast with many notable Gospel Artist and ministries. Onetta Brooks was born and raised in Los Angeles, California. She matriculated through the Los Angles Unified School District; earned her bachelor’s degree (majored in mathematics) from Pomona College, Claremont, CA; master of Public Administration from California State University Dominguez Hills, CA and master of Divinity from San Francisco Theological Seminary/Southern California. Cecilia Jefferson was born august 22, 1952 to Fred and Artie Jefferson. She was born and reared in Watts. She is a graduate of Jordan High School, attended Pomona college in Claremont and completed her graduate and doctorate degree in Child Psychology at the Wright Institute. She is a proud mother of three children—Niquelle, David, and Chanel. Upon completion of her education, Dr. Jefferson-Freeman founded the Fred Jefferson Memorial Homes for Boys in 1989, to service youth in the area in which she grew up in. She loves children and wants to provide quality home like environments for children in need of out-of-home placement. During her career, she has operated six group homes for boys and girls.